A large following on social media has always been an easy (albeit lazy) way to decipher how influential a person is. Savvy marketers and internet users know that’s not necessarily true, but the convention has never stopped celebrities, athletes, politicians and even some marketing consultants from buying followers to boost their audiences. One of the problems with buying followers is that buyers are often purchasing bots and profiles that amount to social media identity theft, the latter of which are created to mimic unwitting real profiles. You’re not actually buying real engagement when you’re buying these followers, even if the bots do retweet your posts. And although buying followers is against the terms of service for companies like Twitter, people still do get away with it and platforms are struggling to respond. And Influencer agencies have dealt with this by putting checks in place to ensure that the influencers in their networks do not buy fake followers. 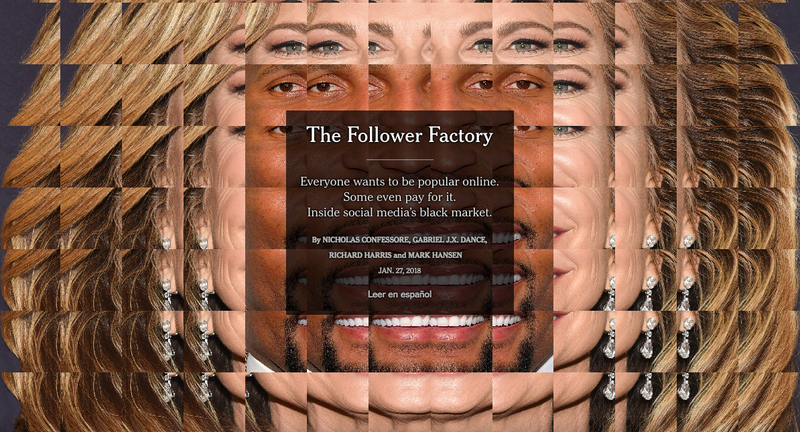 This issue has been around for some time, but for an in-depth and interactive look at how fake followers are bought and the companies behind these operations, check out this New York Times story. Much has been said in the last couple years about Google and Facebook, better known as the marketing duopoly, whose advertising functions swallow up nearly all the growth in digital advertising and account for close to two-thirds of digital advertising revenue. Part of this narrative is identifying the next potential powerhouse to rival these giants. 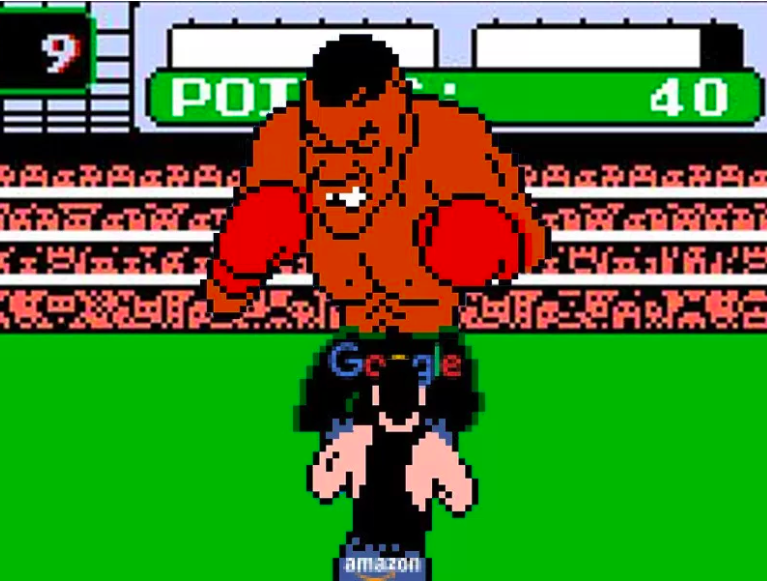 Enter Amazon, which has been quietly building an advertising operation over the years. While the company may not come close to Facebook and Google just yet, Digiday reports that Amazon is going after search budgets as Amazon Marketing Services, its search marketing platform, grows rapidly. For a look inside this burgeoning property within Amazon and its strategy, see this Digiday story. 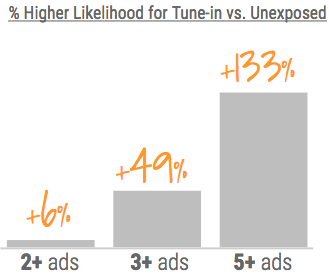 ComScore, an industry leader in ad measurement, recently conducted a research study measuring the impact of YouTube ad exposure on live TV viewership. Results showed those exposed to content on YouTube related to an upcoming TV premiere were 17% more likely to tune into the premiere than those who were not exposed digitally. So what does this mean for brands? By providing support for online video’s ability to deliver increased ratings for TV, the study sheds some light on the power of online video to “reach, inform, and engage consumers” in an efficient and scalable manner, ultimately driving impactful business results. Get rich or die trying. Luckily, rapper 50 Cent successfully achieved the former by becoming a Bitcoin millionaire—albeit by accident. In 2014, the rapper let fans buy his album Animal Ambition with Bitcoin, pulling in around 700 bitcoins for a total of $400,000 at the time. Like many early cryptocurrency investors, however, his account lay dormant for years. But as the value of the cryptocurrency skyrocketed, his Bitcoin earnings are now currently worth somewhere between $7 to $8.5 million. 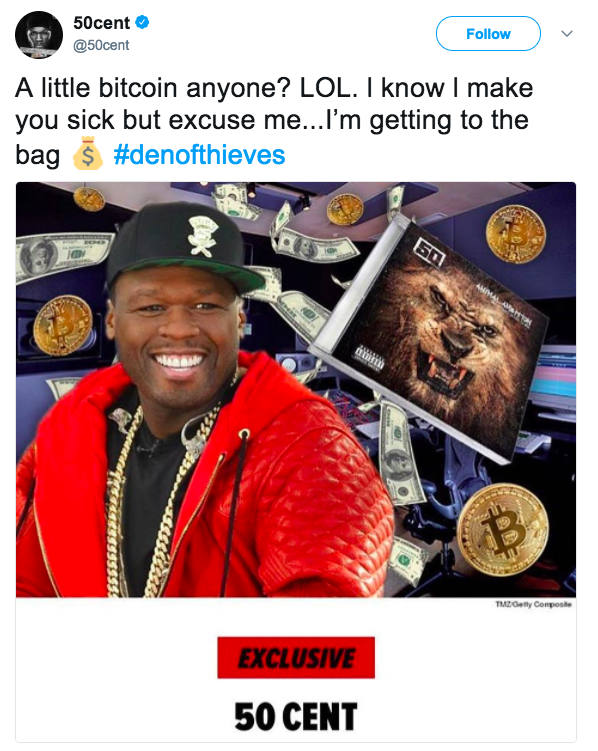 Upon TMZ breaking the story, 50 Cent admitted he had completely forgotten about his Bitcoin earnings but said on social media he was proud of his unexpected financial windfall. Considering he not long ago declared bankruptcy, it seems like a more than reasonable humblebrag. Good thing he was able to access his login information, or he’d have to keep chasing paper like everyone else.